Nestled amongst golden rolling hills, ranches and historic buildings lies the Lompoc Wine Ghetto, a wine connoisseur’s paradise and must-see tasting destination along California’s Central Coast. With a passion for crafting locally made, small-batch pinots, Bordeauxs and Rhones, Lompoc’s wine makers are enthusiasts and artisans with a knack for producing delicious, award-winning wines. What is the Wine Ghetto? The Lompoc Wine Ghetto is a four-block grouping of warehouses located where the Pacific Coast Highway 1 and CA-246 meet. The warehouses are home to 26 tasting room, all hosted by different local wineries. Though most wineries keep a minimalist approach to decor; their ability to quickly transport you from the industrial district of this cozy town to sleek urban hangout, a charming French living room, casual neighborhood bar and beyond is nothing short of breath taking. Rick Longoria was a lawyer turned wine craftsman and was one of the first winemakers to move his winery to Lompoc. After a five-month journey through South America, Longoria developed a passion for wines and began working in the industry as a cellarman in 1979. By 1985, he had worked his way to become a winemaker and in 1997, he and wife Diana decided to leave their day jobs and devote themselves to the full-time pursuit of wine making. In 1998, Longoria wines set up a tasting room in a Lompoc warehouse and soon after others followed suite, making Rick Longoria the “accidental founding father” of the Lompoc Wine Ghetto. With so many tasting rooms, delicious restaurants, stunning sites and fun activities, we invite you to make the most of your visit to the Lompoc Wine Ghetto by spending the weekend in Lompoc! 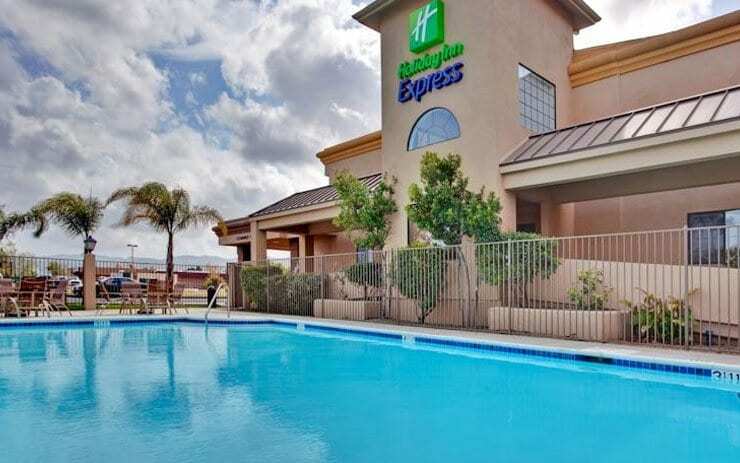 Stay at one of our many hotels conveniently located within walking distance to the Wine Ghetto that will fit any budget and make getting around without a car a breeze! Start planning your trip to the Lompoc Wine Ghetto today!